For those who are forgot their CentOS root password, please do not panic. There was the easy way to reset the root password for CentOS. 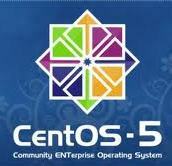 Please follow this steps and you will be able to access your CentOS. 2. When booting up, press any key to go into the select menu. 7. After reboot it will stop at ‘#’ command line. 8. At ‘#’ command line, type ‘passwd’ to create new password.